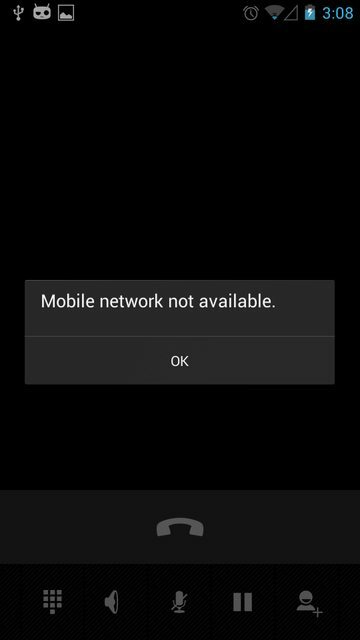 Recently, many Android users are experiencing “Mobile Network Not Available” error on their devices. This is a common error occurring mainly in Samsung Galaxy devices. Many of the users who experienced this error appeared to be T-Mobile and Verizon wireless subscribers. The “Mobile Network Not Available” error most likely to be caused by poor reception (bad signal) in the area. So the first thing you must do is move to a different area and restarting the phone. If the problem still occurring, check your phone’s Data Roam settings. Go to Settings>Mobile Network>Data Roaming. Also don’t forget to check if you have turned off the Airplane Mode. Below, I will list few solutions that have worked for many Android users in the past. Solution 1: Power cycle your Android device. 1. Power Off your Android device and remove both battery and the SIM card. 2. Wait for 2 minutes and insert the battery and the SIM card. 3. Power On the device and check if the message still exists. 4. If you still experiencing the problem, follow Solution 2. 1. Go to your device’s Settings and open Wireless and Network Settings. 3. Then select Network Operators and Select Automatically. Also check your software is up to date or not. If not, then update it. This should fix your “Mobile Network Not Available” error on your Android device. 1. Dial *#*#4636#*#* from your Android device. 2. From the testing menu, click Phone/Device Information. 4. From the drop down list select GSM Auto (PRL). 5. Then select Turn Off Radio. Navigate to Settings>About Device>Software Update>Check for Update. In your Android device, go to Settings>Backup and Reset>Factory Data Reset. Only move on to Solution 5 if none of the other solution work for you. Solution 5 will definitely fix the problem “Mobile Network Not Available” error in your Android device. But it will also wipe everything clean in your device and bring back to default Factory Setting. So please backup your device before you attempt the last solution. If you still experiencing the problem, note it down in comments and I will try my best to answer.